Worldwide smart speaker shipments grew 137 percent year-on-year in the third quarter of 2018 to reach 19.7 million units, which is up from 8.3 million in the third quarter of 2017. After losing out to Google in the last two quarters, Amazon has regained the top spot with the highest smart speaker market share in the third quarter of 2018. Amazon shipped 6.3 million Echo smart speakers in the quarter edging passed Google that shipped 5.9 million units, according to market research firm Canalys . 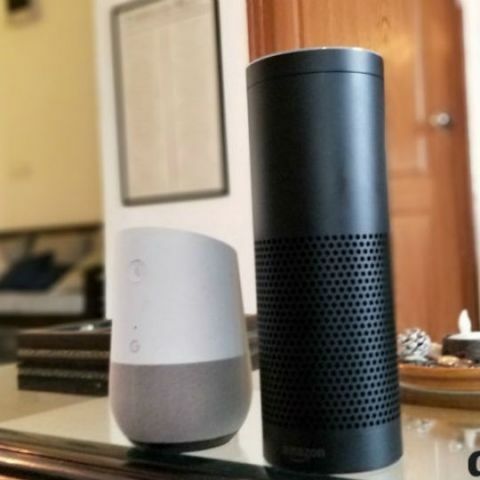 The research firm notes that though Google made pre-emptive strikes by lowering prices of its Home speakers in anticipation of Prime Day, the shopping festival proved highly beneficial to Amazon. According to Canalys’ data, Amazon captured 31.9 percent of the market share in this quarter followed by Google at 29.8 percent and Alibaba (TMall Genie smart speaker) came on the third spot capturing 11.1 percent of the market share worldwide. In the second quarter, Google was at the top spot with 32.3 percent market share, followed by Amazon at 24.5 percent and Alibaba at 17.7 percent. A year ago, Amazon led by miles with 74.7 percent market share, and Google followed with 24.6 percent share. “College and university students are key consumers of music streaming services – low-hanging fruit that both Amazon and Google picked with back-to-school deals to encourage adoption of smart speakers in dorm rooms,” said Canalys Research Analyst Vincent Thielke. Both Amazon and Google have also introduced new devices with improved features in time for the fast-approaching holiday season. “To encourage adoption, vendors are also constantly building on the theme of home automation and IoT, to position smart speakers as central hubs. But they still face a key issue in lowering barriers to adoption, especially with compatible systems that need expert installation,” Thielke added. The fight for supremacy in this product segment has led the worldwide smart speaker shipments grow 137 percent year-on-year in the third quarter of 2018 to reach 19.7 million units, which is up from 8.3 million a year ago. Also, the US market grew 30 percent, but also influenced other key markets, such as the UK, Canada and Australia. China, the world’s second largest smart speaker market, saw Baidu enter the market in the third quarter, and threaten to break the duopoly held by Alibaba and Xiaomi. The UK overtook South Korea to become the third largest smart speaker market with shipments reaching 1 million. Which is the best speaker for home use?